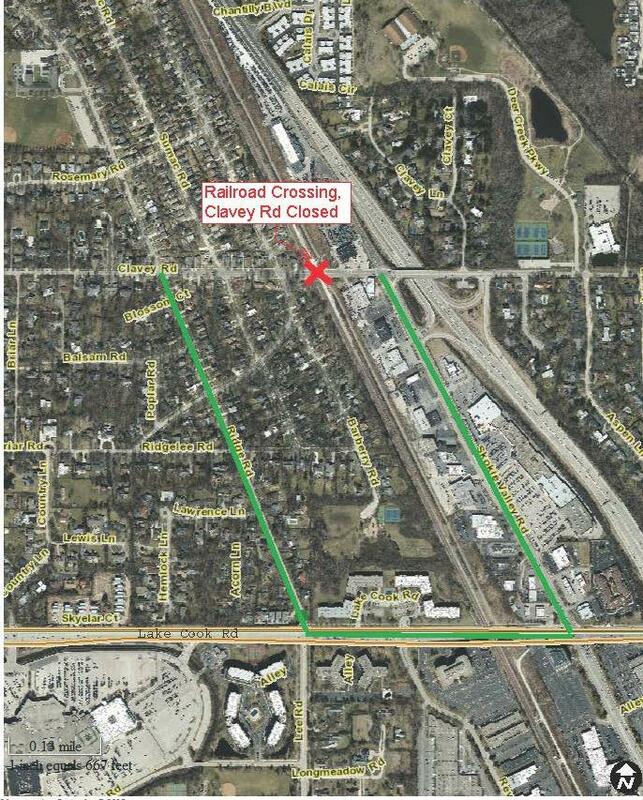 Despite repeated efforts, including correspondence with Congressman Schneider’s Office, Union Pacific would not delay or change the construction work planned for the Clavey crossing. Union Pacific Railroad has rescheduled their planned maintenance, originally scheduled to begin September 5 on Lake Cook Rd, to October 10. Below is the construction schedule. Detours will be posted before construction, and maps posted on the City’s website for reference. If you have any questions or concerns, Union Pacific can be contacted at 800.848.8715. Pedestrians will be able to cross the tracks during the project, but must use caution; the work is focused on the roadway section of the crossing. Parking on both the west and east side parking lots will be available for commuters at Braeside. This project should not impact parking lots for commuters or impact train schedules.